This is why Appointment Reminder for Financial Advisors makes so much sense. Why keep another worry in the back of your mind when you could offload it with the ease of our Appointment Calendar or take advantage of our Google Calendar, Outlook Calendar and Redtail integrations. Of course the real benefit to utilizing an appointment reminder service is that it saves you time. You see it everywhere that time is the most limited of all resources. It couldn't be more to the point that an appointment reminder saves you that most important of resources by keeping you from over organizing the organizing itself. Used by 25% of all financial advisors in the USA, Redtail is a fantastic system and Appointment Reminder has worked closely with Redtail to make the integration as seamless as possible. 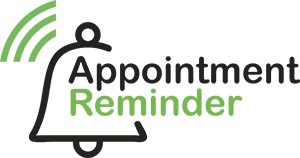 With all the different ways that you can deliver reminders throughout Appointment Reminder, there isn't a way that your client's could miss the opportunity to take care of what matters most with your guidance.